Today as we mourn the passing of one of South Africa’s legendary icons, Tata Nelson Mandela, we salute him for leading an exemplary life for all South Africans. 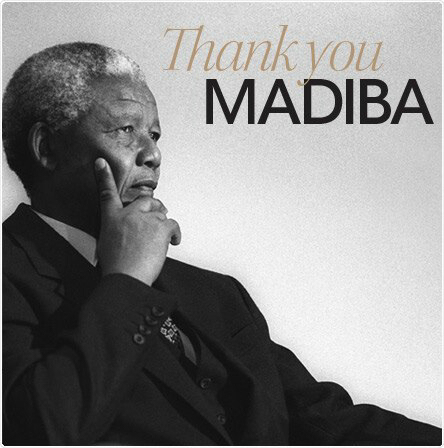 Revered all over the world as a humble man who played a part in bringing freedom to the black child and peace to the Rainbow Nation…we thank you Madiba for your contribution. Your legacy will live on in our hearts, our history pages and the foundation of our country. Through you we’ve learned it’s possible for a black child to become President of a Nation. Through you we’ve learned it’s possible for man to forgive his oppressor. Through you we’ve learned the meaning of humility. You personified humanity at its best – a true symbol of UBUNTU. Lala ngoxolo Tata. May your soul Rest in Peace. You’ve served our nation and the world well.